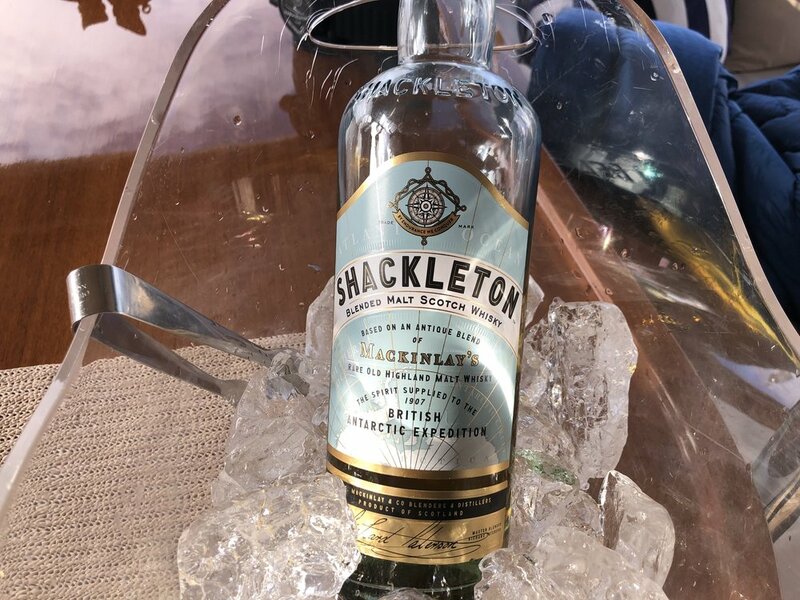 Shackleton Whisky for that Special occasion..
A gift from Catherine’s Father..(one of our Stewardess’s) for a special occasion. and this was it. 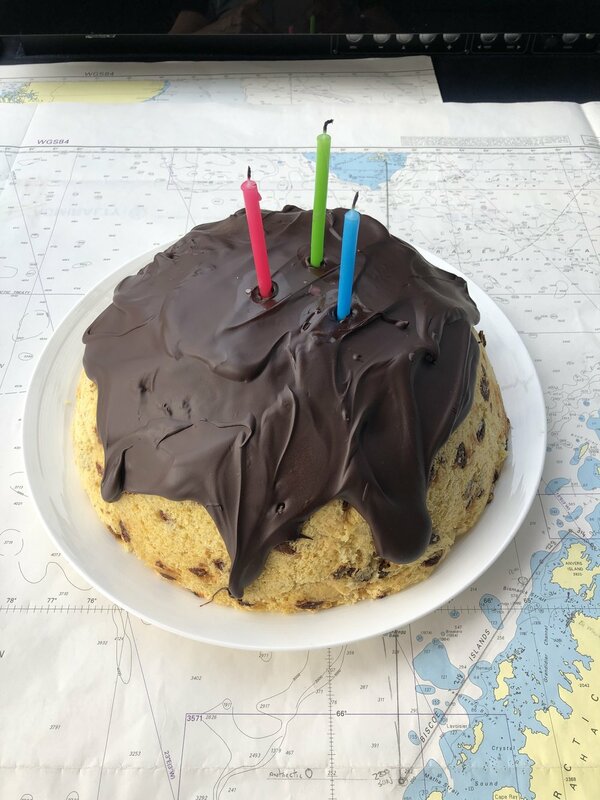 3 Birthdays all on the 20th January and a crossing of the Antarctic Circle. Happy Birthday, Catherine, Richard and Dr Paul.. The cake was a Panetone with Passion Fruit Icecream inside and a Dark Chocolate Glaze…Awsome..